Are you having problems with your wisdom tooth? Are you wondering why the gums are getting infected and are swollen up? Dentists usually advise people to visit the clinic, once every six months, and it must be said that he has a good point! Such a visit would have shown you that the root cause of all these problems was probably an impacted wisdom tooth. According to mouthhealthy.org, out of the 32 teeth, the last four to erupt is the wisdom tooth. The teeth usually appear between the ages of 17-25. When one of the wisdom teeth doesn’t have enough space to come in normally, this is when it is considered impacted. 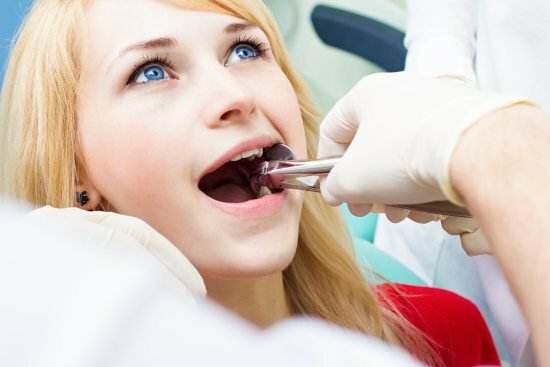 People hardly realize, they could be having impacted teeth, as the impacted wisdom teeth usually do not show symptoms of any kind. People only realize they have impacted teeth when the gum on top of the tooth is swollen or is getting infected. Impacted wisdom teeth symptoms may include swollen, pain and bleeding gums, bad breath, swelling around the jaw, jaw aches or a headache. Some people may even experience swollen lymph nodes in the neck, a stiffness of the jaw and some may even have an unpleasant taste when eating. If you are experiencing any of the above-given symptoms, you really need to visit a dentist. If impacted wisdom teeth are left untreated, it may lead to tooth decay and gum disease. It may also cause damage to your other teeth, including overcrowding or infection of teeth. In some cases, impacted wisdom teeth can also cause tumors or cysts. X-rays and annual dental appointments can determine if you have impacted teeth even before they start showing symptoms. Some dentist even suggests people remove their wisdom tooth before any problems occur. The second molars can be pushed by the wisdom teeth, resulting in misalignment of teeth and may also cause infection. You may need to seek the help of orthodontics. Even with a toothbrush, it is very hard to clean the area where the wisdom tooth is located. This can cause food plague and other food items to accumulate on and between the teeth which will promote bacterial growth. There are times when the wisdom tooth doesn’t erupt fully. As a result, a flap of gum tissue may cover the tooth which can trap food, bacteria, plague. This will result in infection of the wisdom tooth and gums. Wisdom teeth grow in a sac which is located within the jaw. When the wisdom teeth are impacted, the sac is filled with fluid which can develop a cyst which is uncomfortable and can cause nerve damage. It is always best to visit the dentist occasionally or if any of the above-given signs or complications occur.